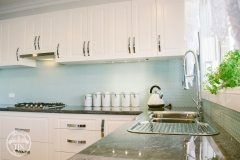 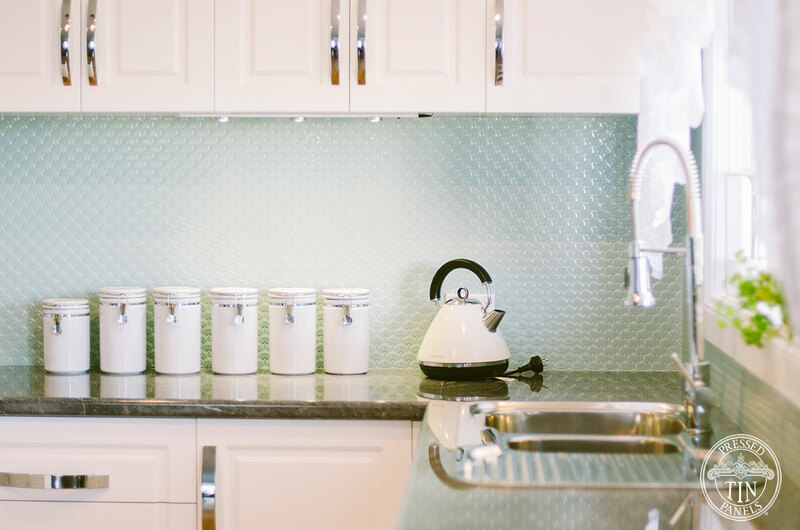 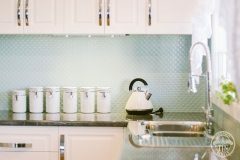 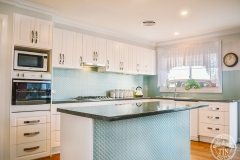 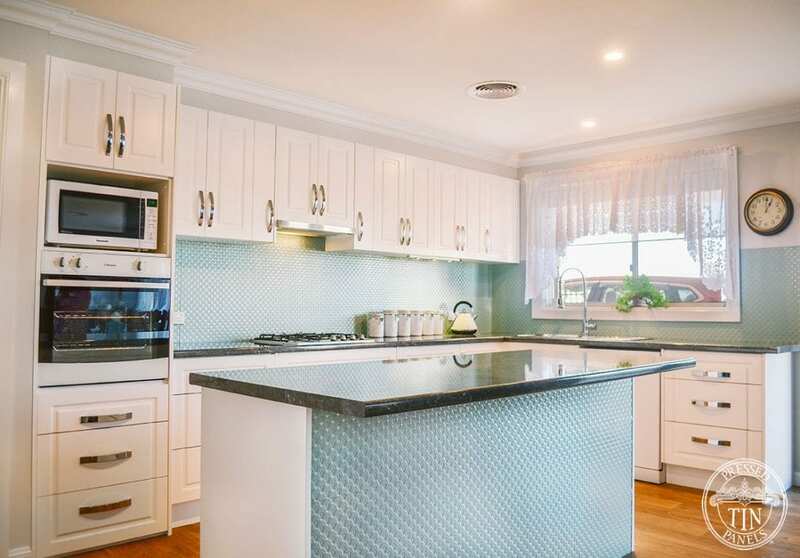 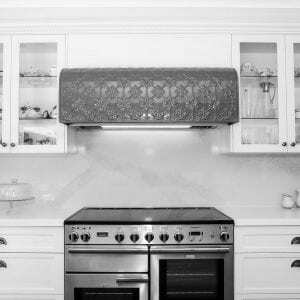 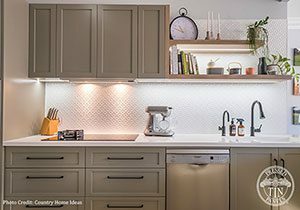 This kitchen splashback belongs to Helen and Mark, a local couple who made the move into town after being on property for years. 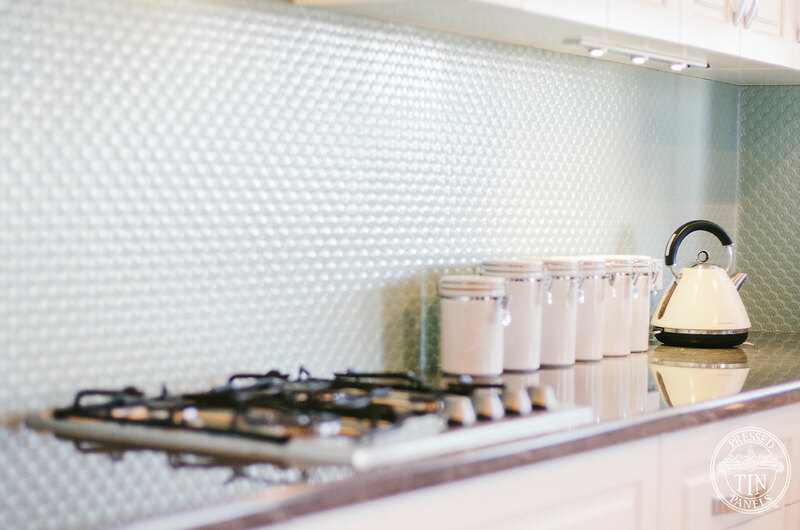 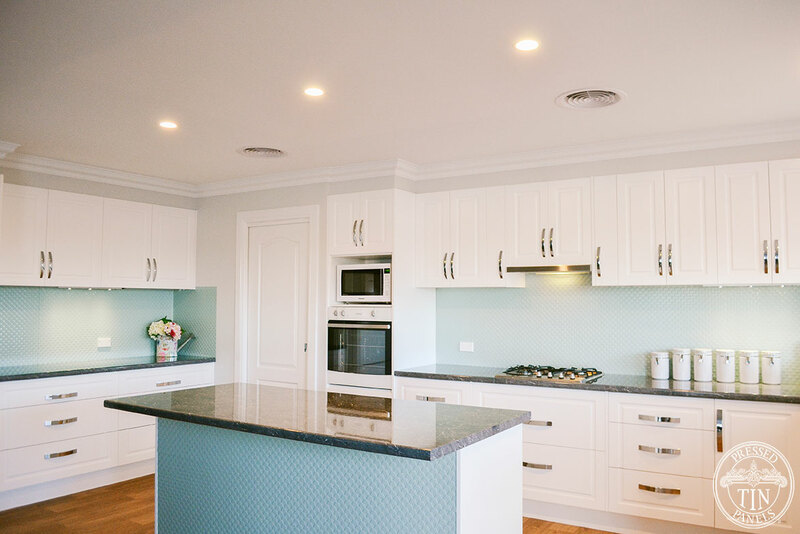 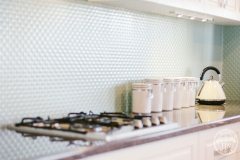 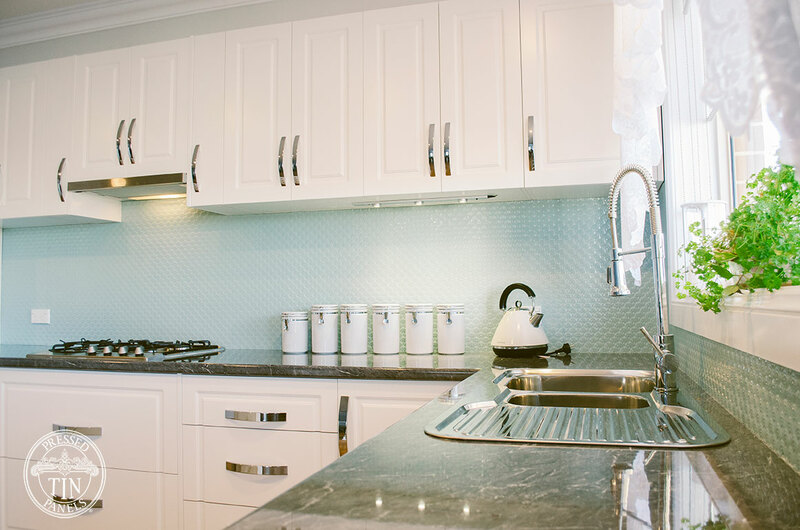 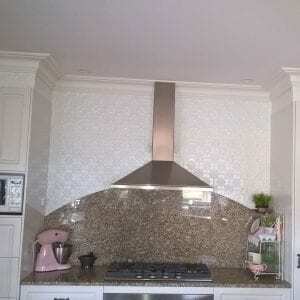 Helen and her husband decided to build a brand new house and treated themselves to a lovely pressed metal splashback featuring the Scallop design in a beautiful Smoke Blue powder coat colour from Oxytech. 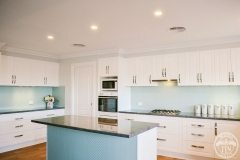 They had a local carpenter install the panels into their beautiful kitchen. 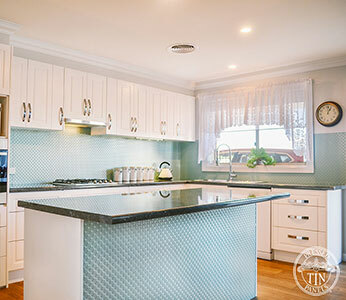 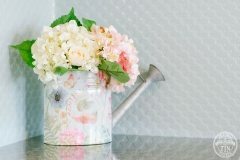 The end result – something just stunning!